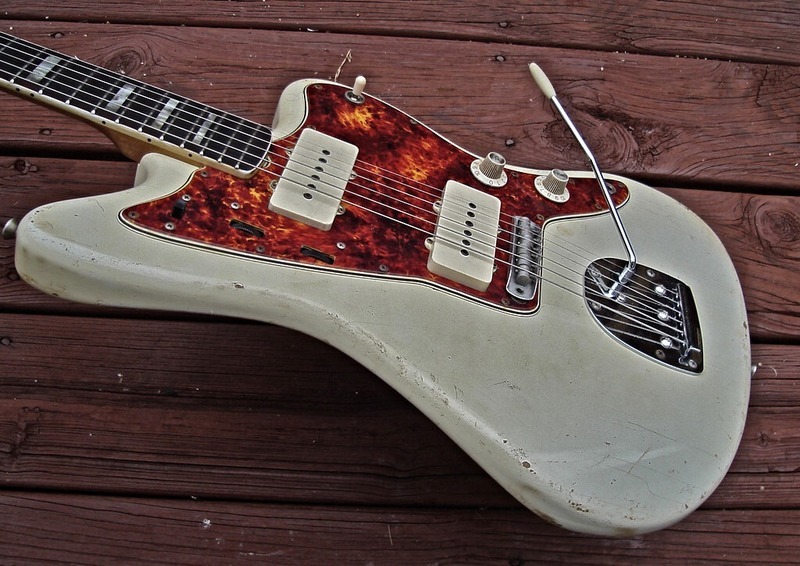 The most authentic 1960s tortoiseshell pickguards in the world! What makes Spitfire so accurate? 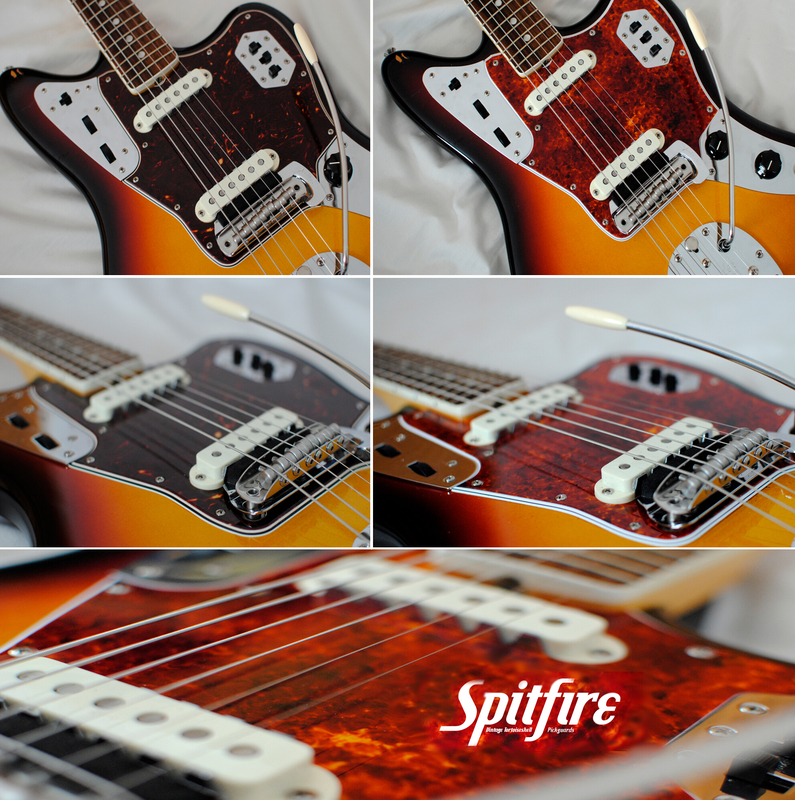 Spitfire perfectly recreates the long lost look of vintage 60s tortoiseshell. 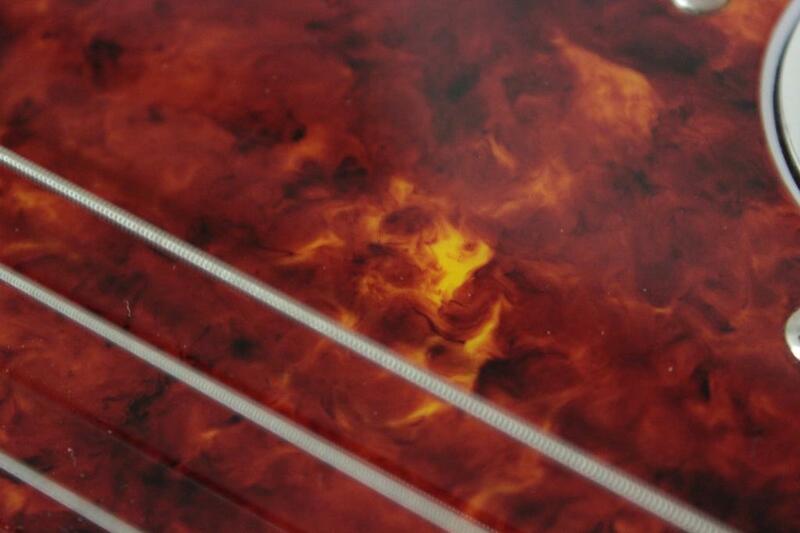 We specialize in reproducing our tortoiseshell material to have the vintage 3Dimentional, fiery, hot lava, swirly, soft, cloudy, smokey, vintage, beautiful look that was once seen ONLY on vintage pickguards. 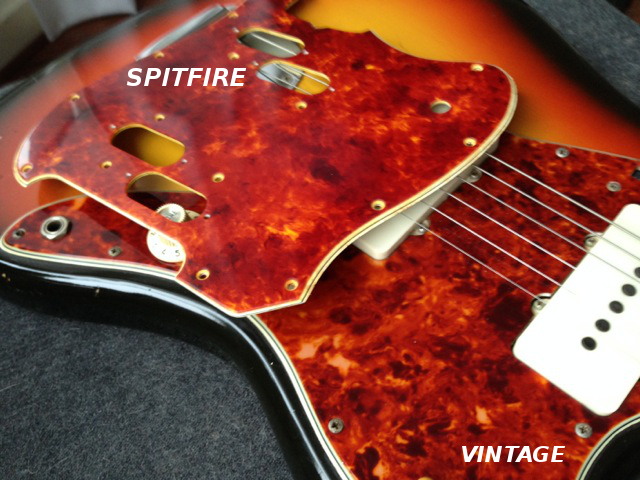 Today, you can relive the past with your very own custom made Spitfire Tortoiseshell Pickguard. 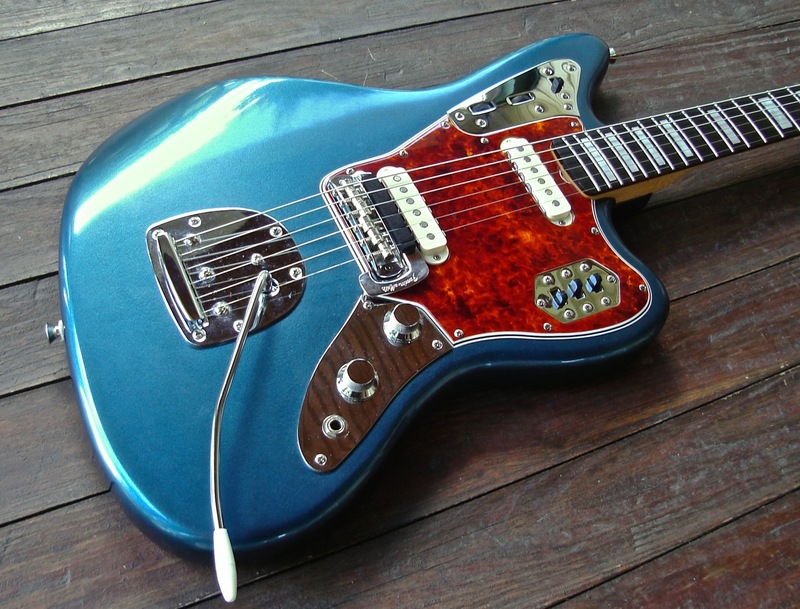 Just ask Johnny Marr who is now an owner of two Spitfire Jaguar tortoiseshell pickguards. I just wanted to say thanks very much for the pickguards. 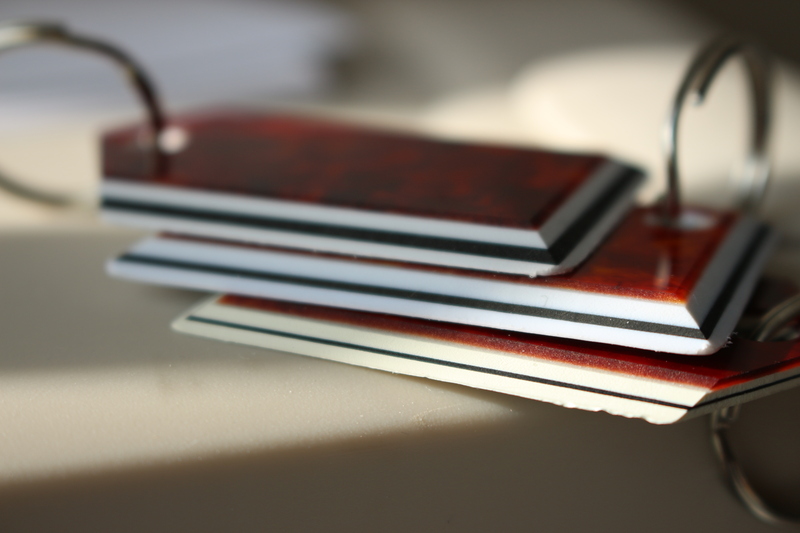 They’re both really nice and I appreciate the care and craftsmanship that’s gone into them. Great job. I’ll most likely be asking you for one or two more if that works for you. 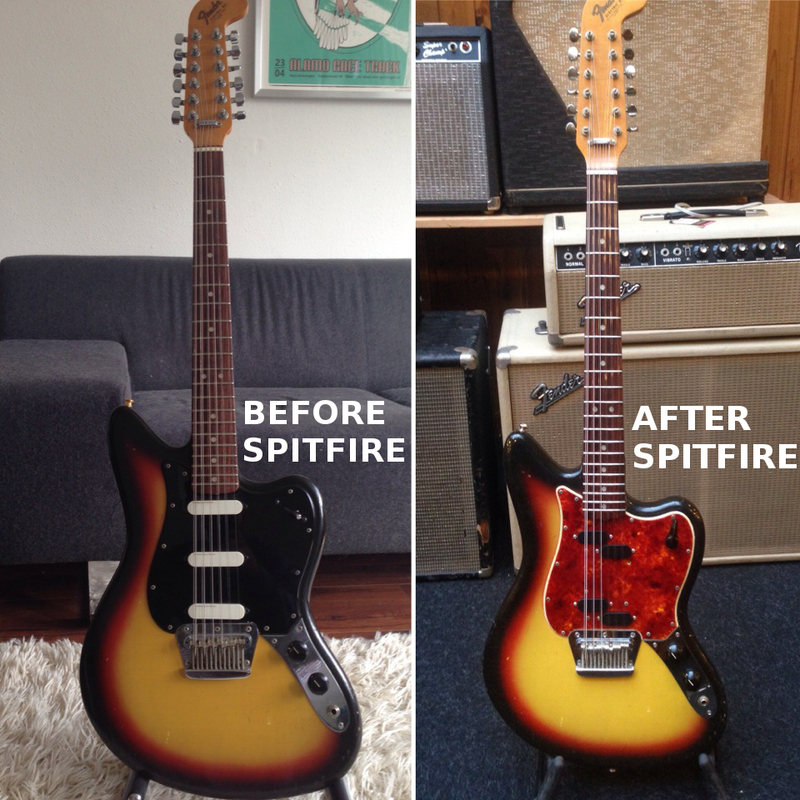 With Spitfire, you now can see what a vintage pickguard would have looked like brand new or have it aged/relic to your personal liking to match your very own one of a kind vintage instrument. We also specialize in the correct thickness with our accurate vintage “Thinline” material that gives you the exact look and feel of the 60s. 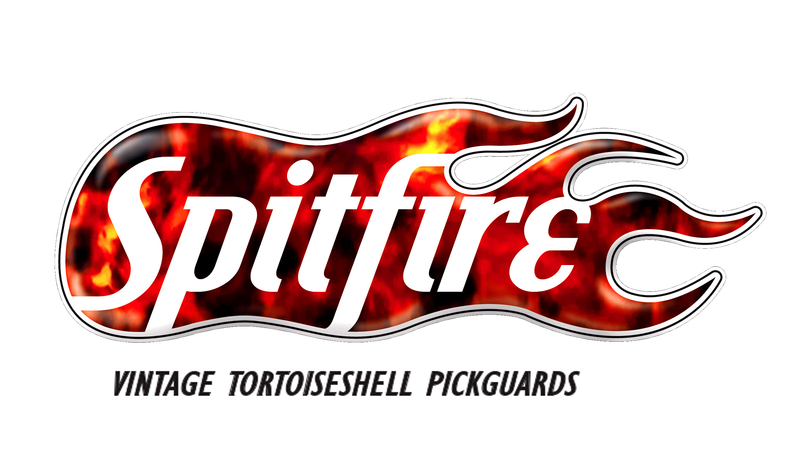 This can only be seen on a vintage original pickguard from the 60s/70s and now on your very own Spitfire Vintage Tortoiseshell Pickguard. Welcome to the wonderful world of Spitfire Tortoiseshell! 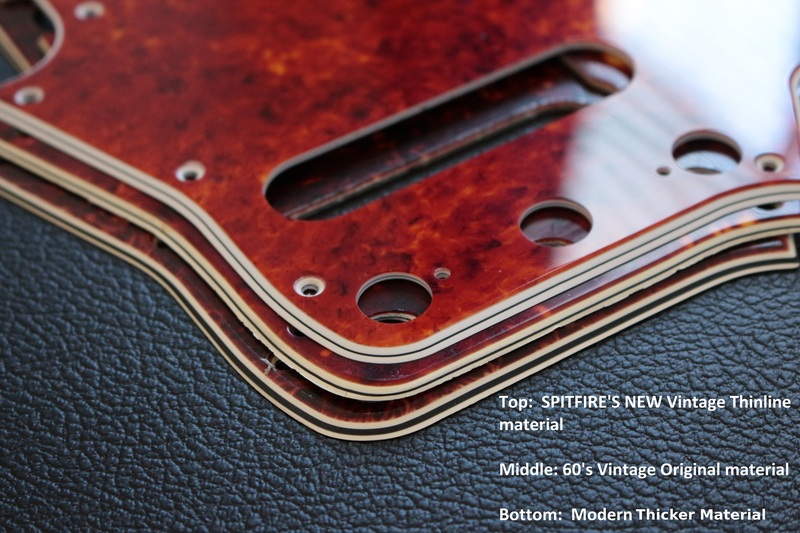 Spitfire Tortoiseshell Pickguards is a material manufacturer that makes vintage reproduction tortoiseshell pickguards for guitars and musical instruments. 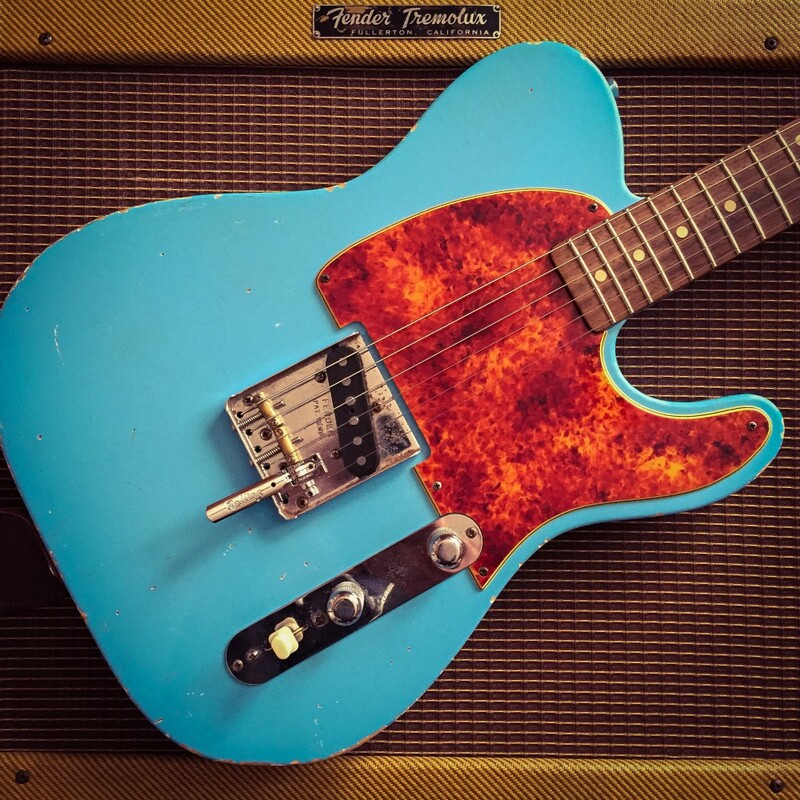 We have mastered the art of finding the balance between color and style to give you one of the most accurate looking vintage tortoiseshell pickguards you have ever seen. 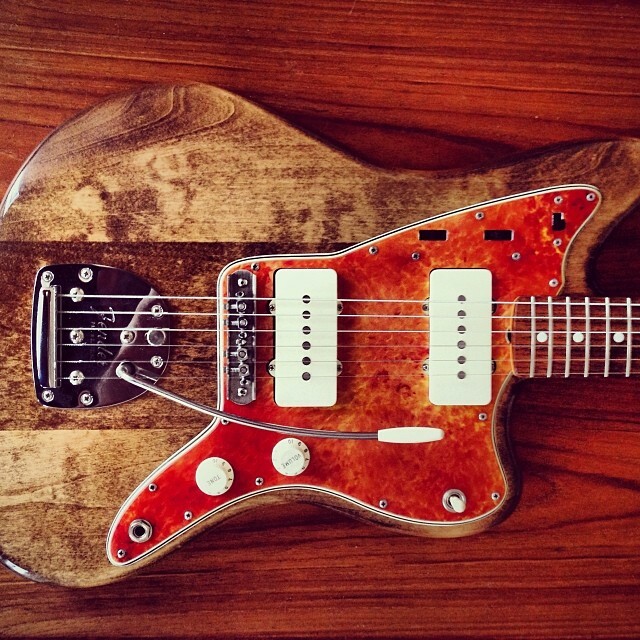 To purchase a pickguard, click here or the order tab above to get started. If you have any questions please feel free to contact us. If you are looking for an exact specific look with a long list of details that must be perfect to your liking, then we are not the company for you. 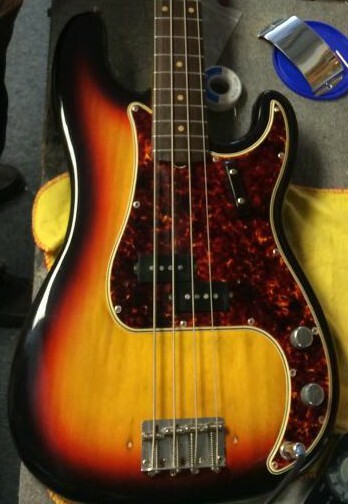 You are hiring us as an artist to create a one of a kind, vintage 60s looking tortoiseshell pickguard. We require some artistic licensing, since creating tortoiseshell is somewhat of an uncontrollable process. There are no guarantees that your tortoiseshell will turn out exactly like you had in mind; please be aware of this. All pictures shown on the website are from previous customers and are intended to be examples and in no way can we 100% replicate any specific picture. 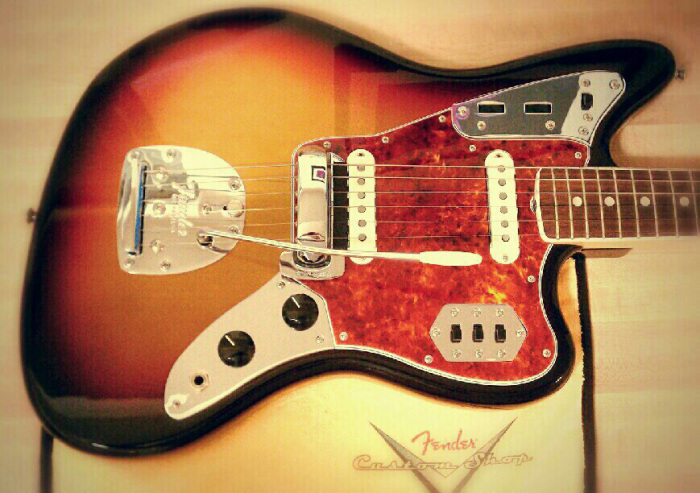 Each pickguard is a one of a kind piece of art. 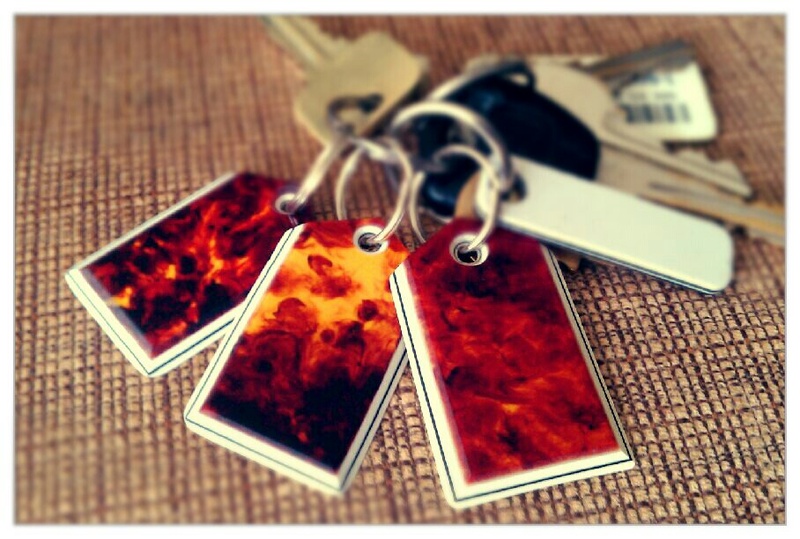 Get your very own Spitfire Tortoiseshell key chain!!! Only $10. 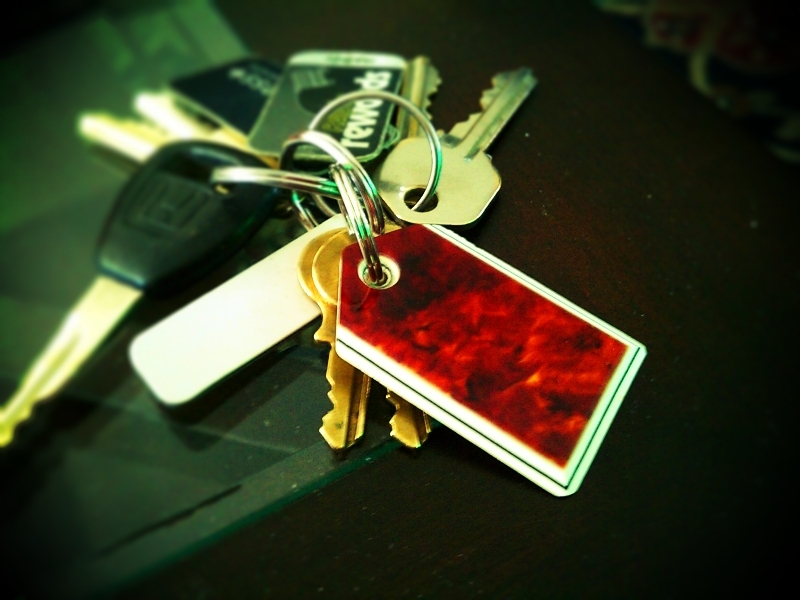 They come in all different styles and colors and will be randomly picked unless specified. To order, contact me and click HERE!